Are you looking for a holiday in Winterberg for 8, 10 or 12 people? We have for you the choice of two luxury villas. Both holiday homes are suitable for families with children, friends or families who want to be together for a holiday break. With a connection to the Rothaarsteig an ideal environment for hikers, cyclists and mountain bikers. Both villas have the luxury and privacy you desire for a relaxing vacation: a fully furnished living and dining kitchen, a large dining table, luxury bathroom, several toilets, a 4-person sauna, spacious bedrooms, good beds, a large garden, plenty of parking and of course, fast WiFi internet. Both Villas are located in the center of the charming village surrounded by wooded hills and direct access to the beautiful Sorpetal and Negertal where the active holidaymaker will find numerous hiking and biking trails; the public swimming pool and tennis court are just a stone's throw away. You can also simply enjoy the peace and sun in the spacious gardens and large terraces. The Villas are equipped with all comforts: free wireless high-speed Internet, satellite TV with Dutch, German and other international channels, a 4-person sauna, luxury bathrooms and fully equipped kitchens for cooking enthusiasts. For babies and small children, two baby cots and children's games are present. The parents can have fun with football, shuffleboard or darts. Our houses are highly valued by our visitors. We look forward to seeing you. 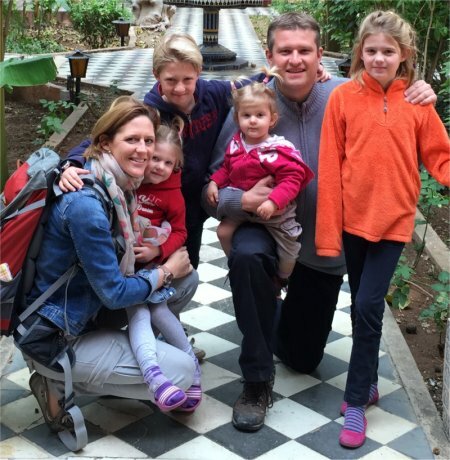 We are a Dutch family with four children and are living for almost ten years abroad. In 2006 we bought Haus am Sorpe as a permanent place to stay with family and friends. In 2013 we bought Villa Ennert, a stone's throw from Haus am Sorpe. Both traditional half-timbered houses have been completely renovated and modernized for rental to luxury villas with all the comforts and convenience that we desire at this time. If you have any interest, feel free to contact us. We are looking forward to welcome you as guests in one of our villas!